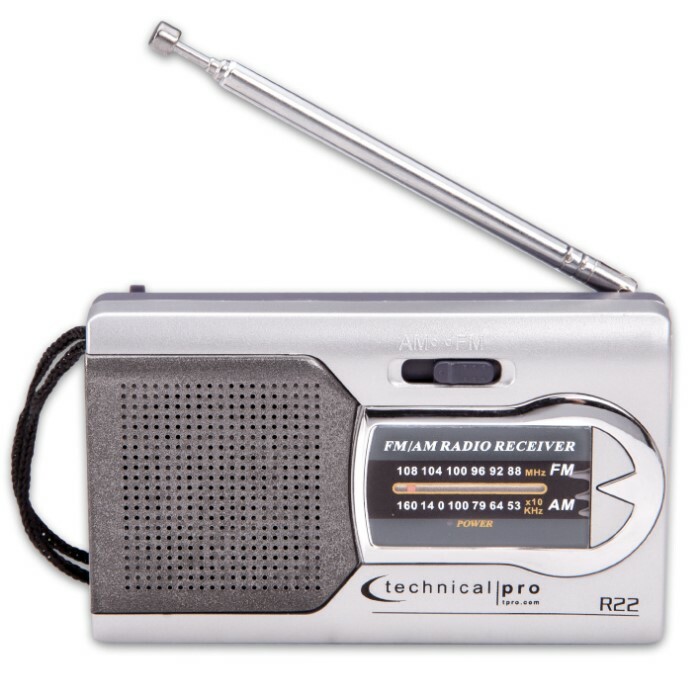 Technical Pro Battery-Powered AM/FM Handheld Radio With Speaker - Manual Tuner, Headphone Jack, Integrated Speaker, Adjustable Antenna | BUDK.com - Knives & Swords At The Lowest Prices! Perfect to drop in your camping, hiking or fishing gear, the Technical Pro AM/FM Handheld Radio is a battery-powered portable, pocket AM/FM radio with a manual tuner. It comes with a standard 1/8" (3.5 mm) headphone jack, as well as, an integrated speaker. In addition, it sports an adjustable antenna for reception maximization and features a carry strap for easy transportation. 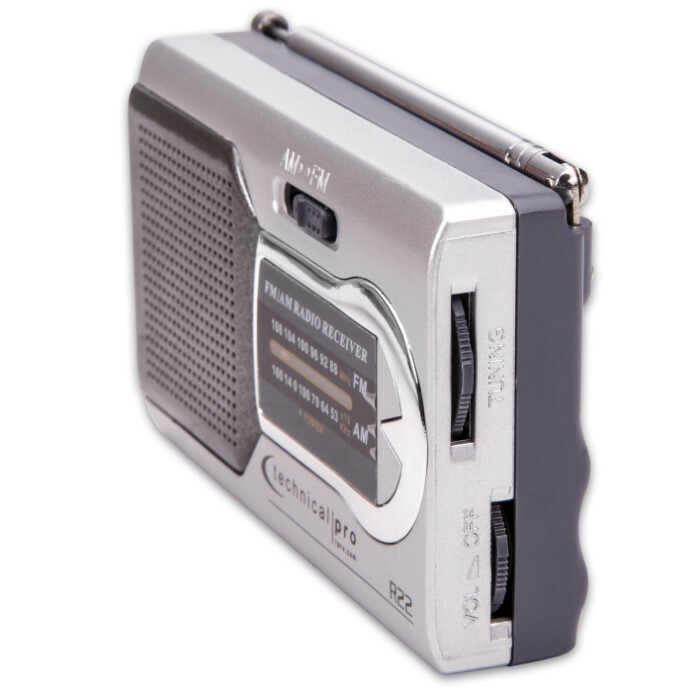 The AM/FM Handheld Radio runs on two AA batteries.